The Green Innovations series of green roof water retention panels have been developed as an intricate component in green roof design and installation. The panel design allows for a uninterrupted continuous layer of soil right to the edge detail. 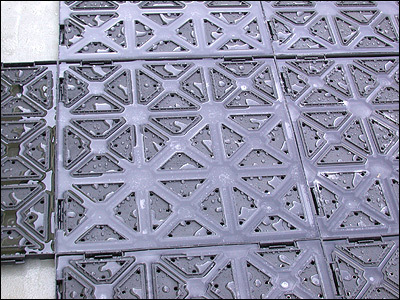 The vegetation can be installed as vegetative mats, or plant plugs or hydro-seeded. Water is a critical and important concern for the vegetation and drainage of the roof. Our components satisfy both issues with superior storm water management handling channels and reservoir areas moulded into the panels, retaining as much as 98% of the water. The stored water is fairly evenly distributed over the surface allowing water to be in close proximity to your entire vegetative system.